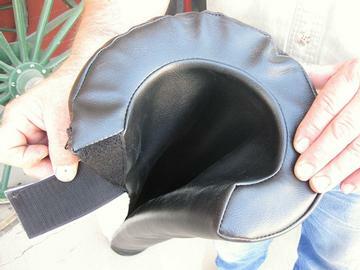 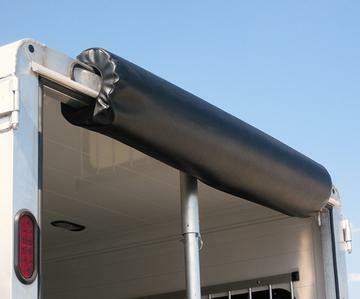 Trailer Head Protectors are designed to attach to your trailer to protect your horse's head as it exits. 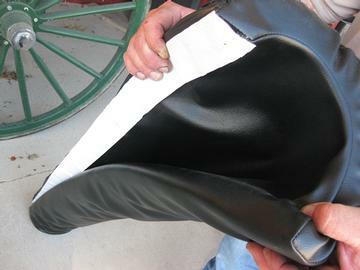 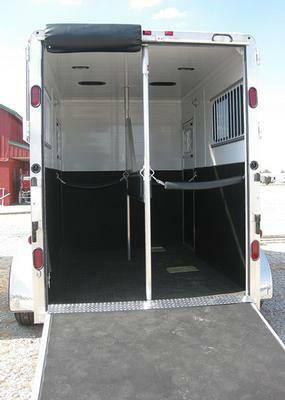 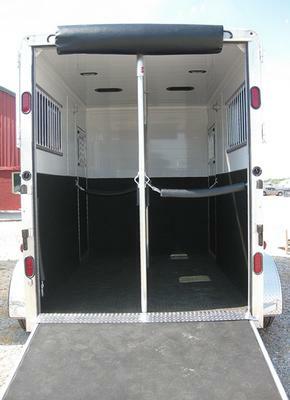 They are made with 2" thick foam padding to protect your horse from the sharp corners of the trailer and encased in black vinyl for quick cleaning. 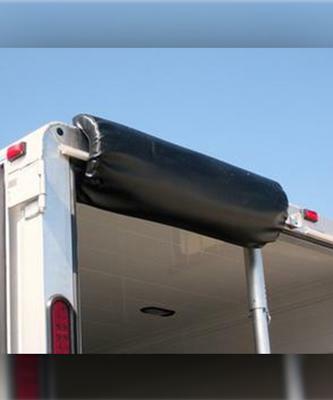 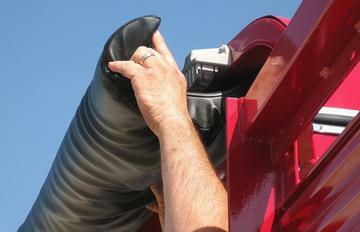 They can be hooked over the top of the trailer or velcroed for a more permanent attachment. 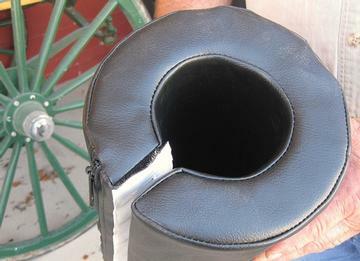 Available in 32" and 54".